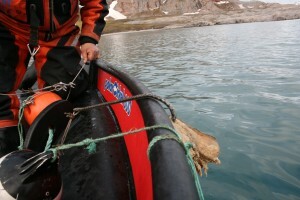 In June, Norwegians where able to catch a lot of greenland sharks (see here). 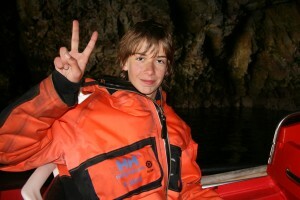 Wojtek Moskal is inspired and fishing for sharks since that day. 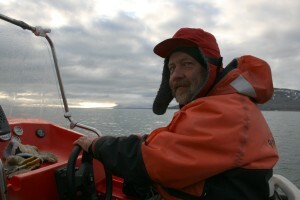 Today Janwillem can join him when he is checking the bait. 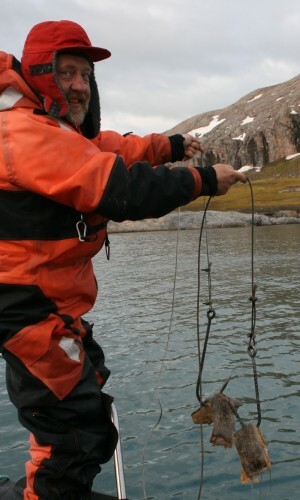 He is fishing on a depth of 150 meter. Unfortunately no sharks yet. 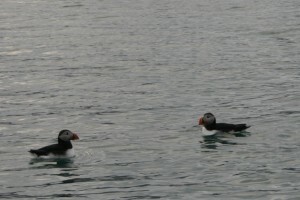 Puffins on the fjord and a visit to a cave complete the trip. This page has been given the following keywords: [whale] [young polar scientist] [fish] You can click on each keyword to get an overview about related pages.